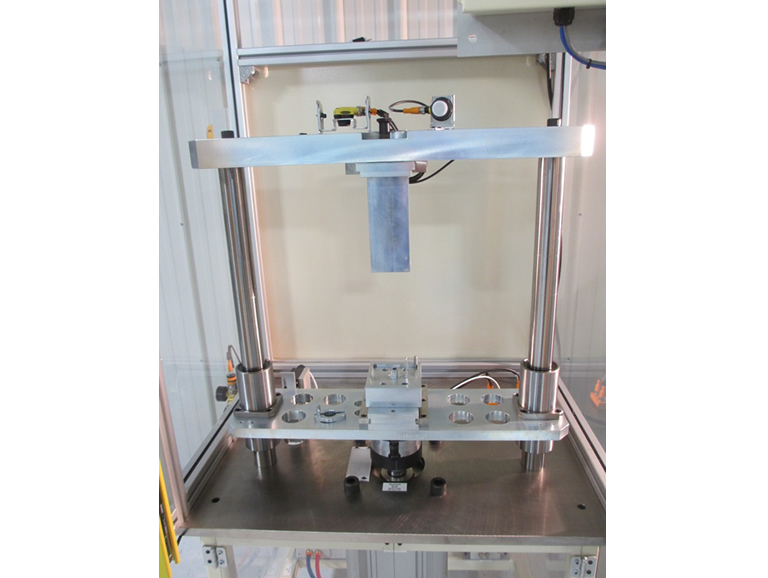 Heavy-Duty Lean Cells can be used for a wide variety of automated processes. Here is an example of one which compresses an oil cooler core. 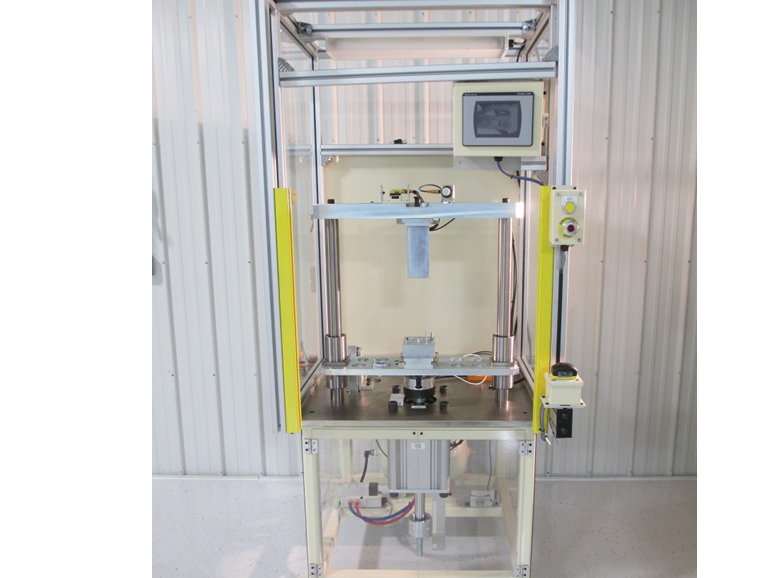 The welded steel-tube base supports a 2-post style press with a large-bore pneumatic ram. 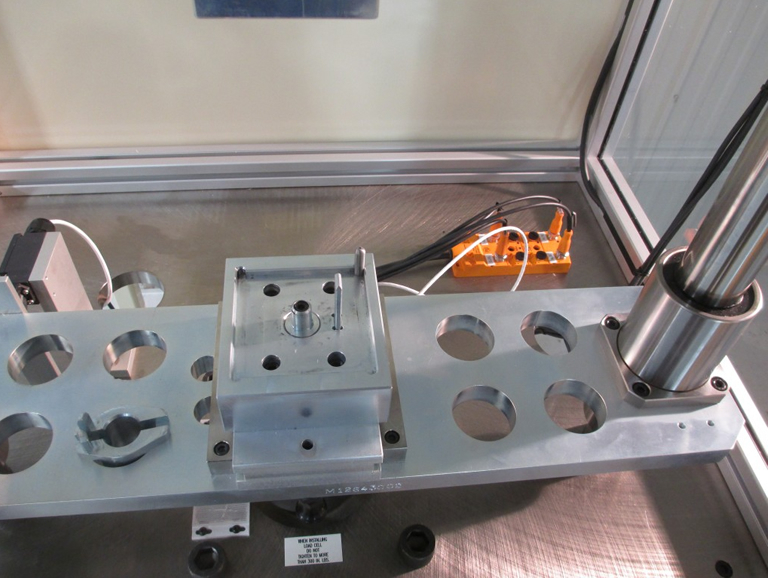 Quick change fixtures are utilized to accommodate several product codes. 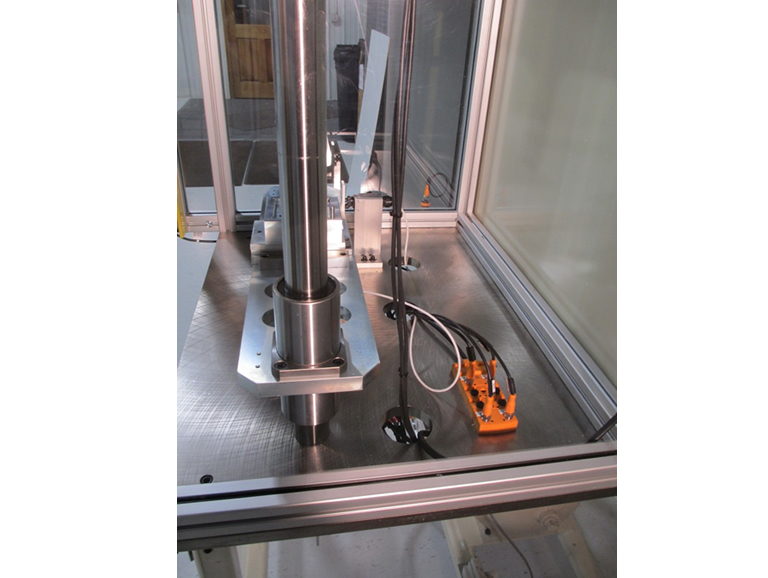 A load-cell is integrated into the tooling to validate quality. The cell is controlled by an Allen-Bradley MicroLogix controller and HMI.